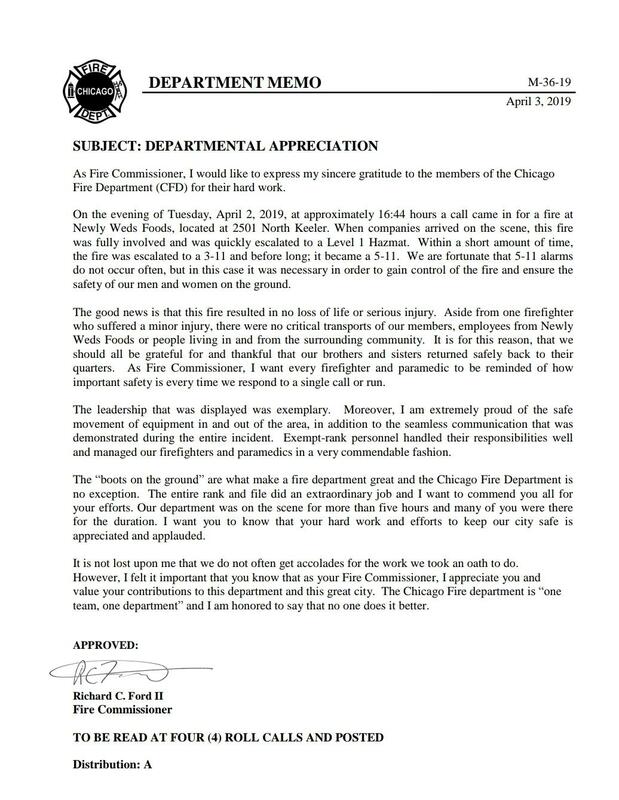 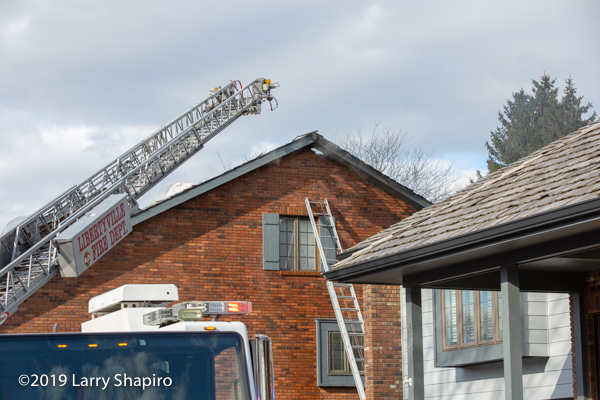 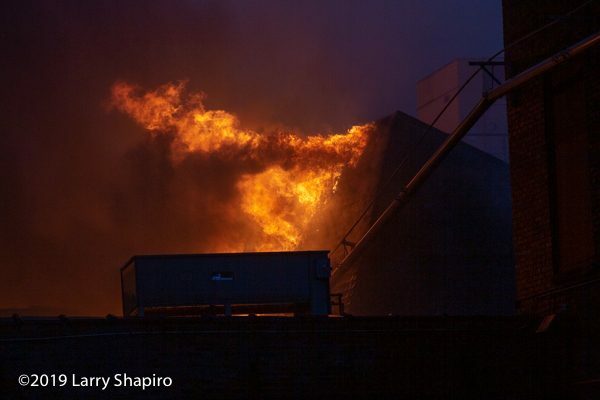 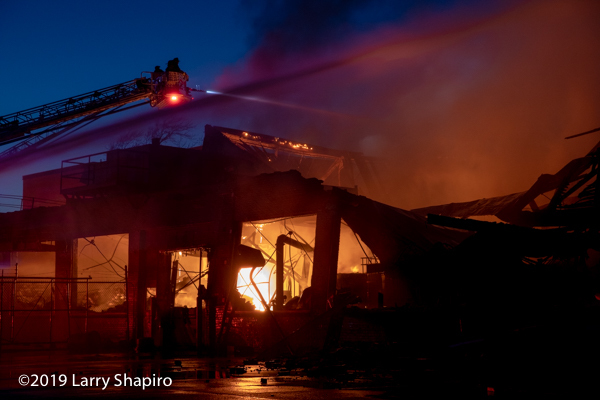 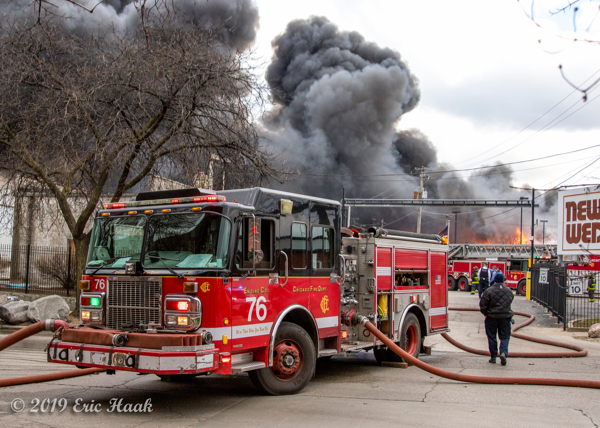 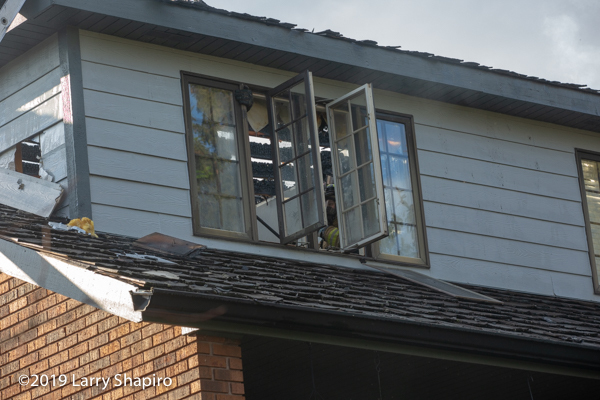 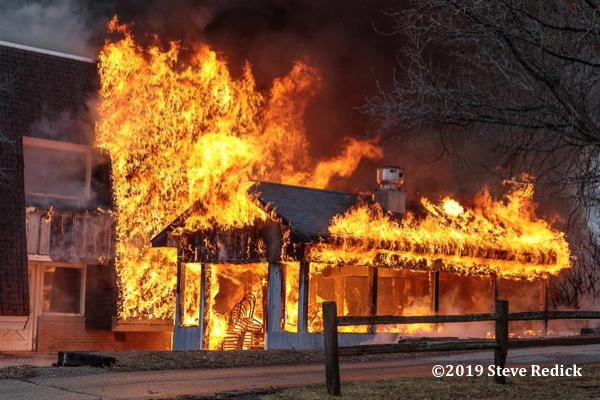 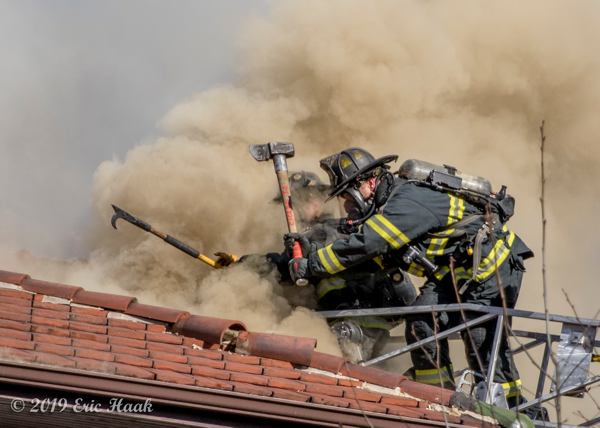 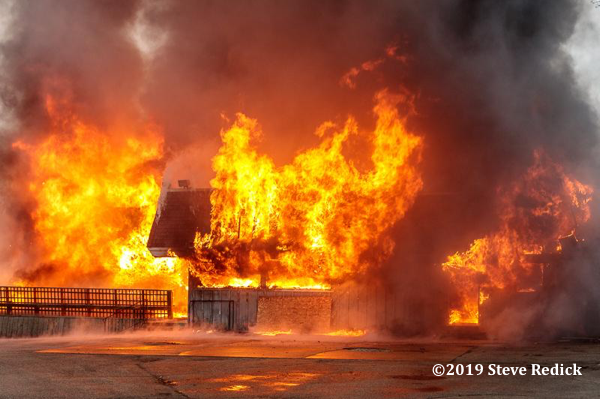 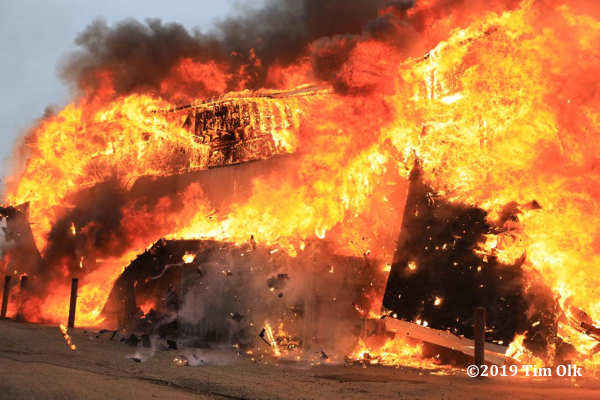 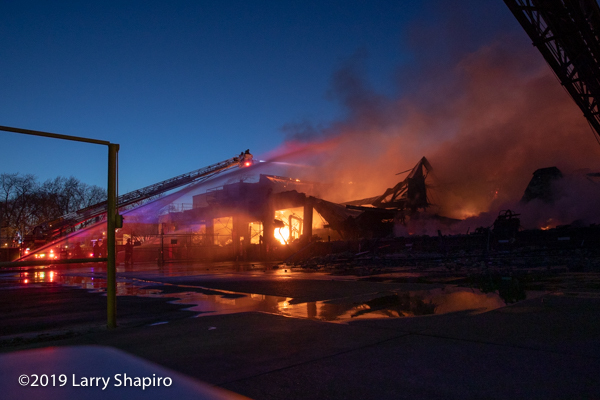 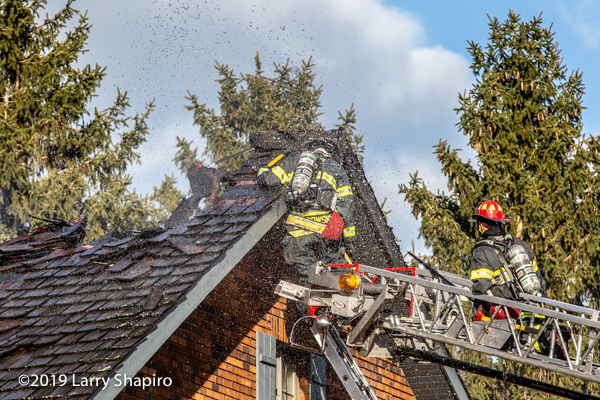 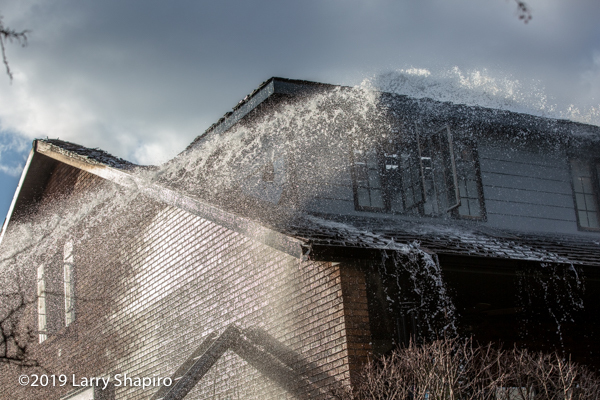 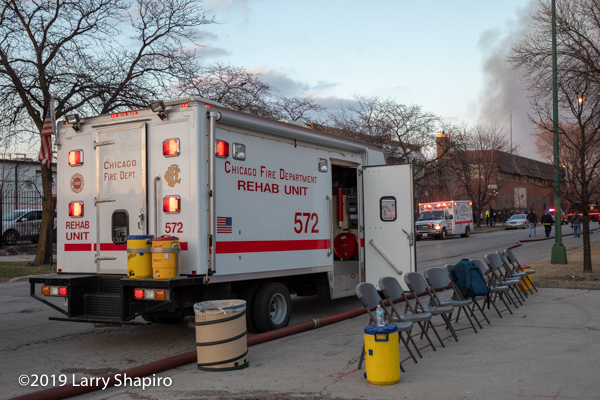 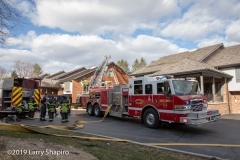 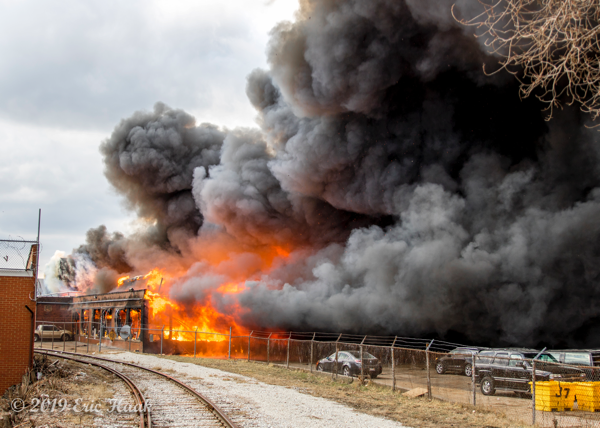 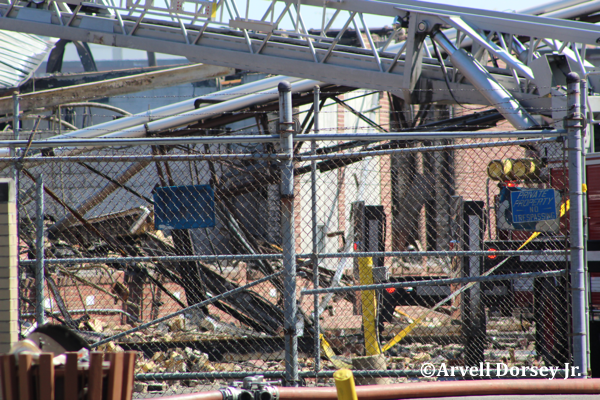 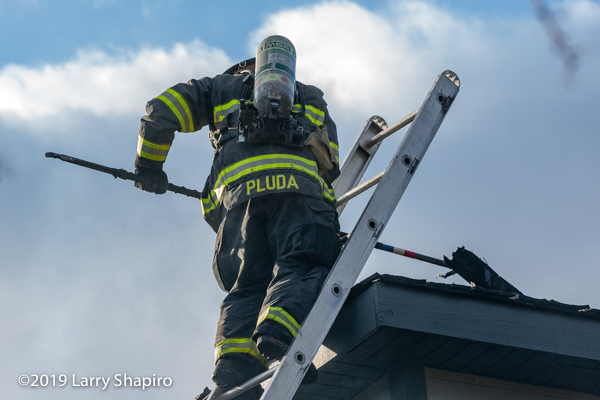 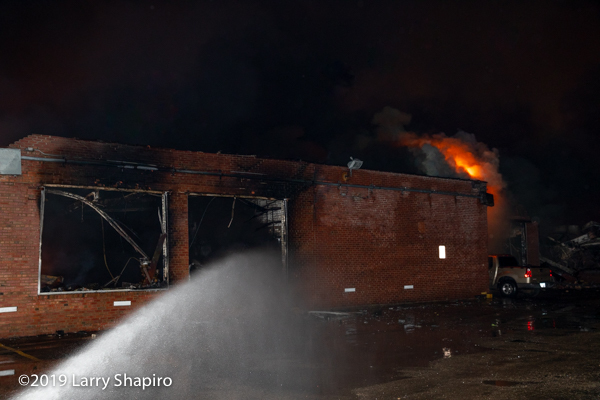 I went back to the fire scene the next day (April 3, 2019) to check out the extensive damage and took some photos. 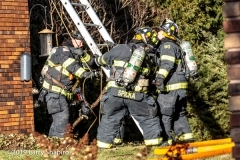 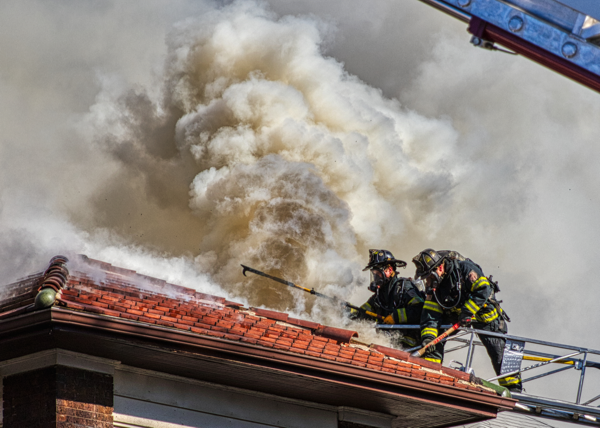 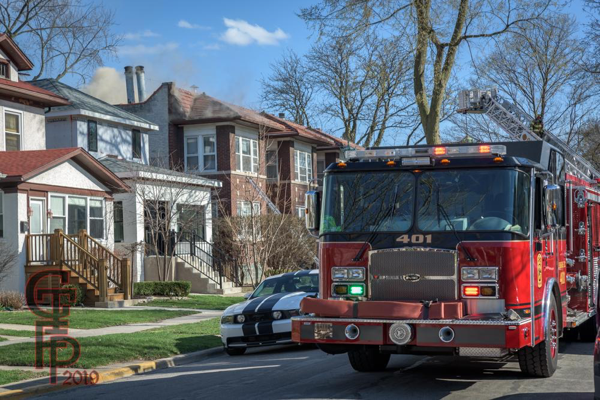 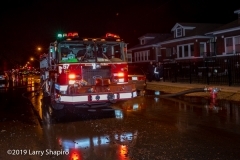 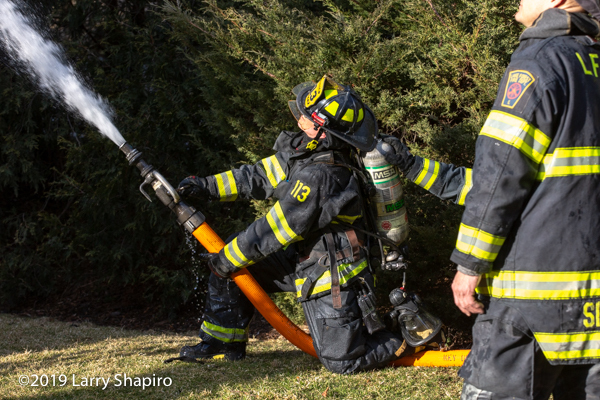 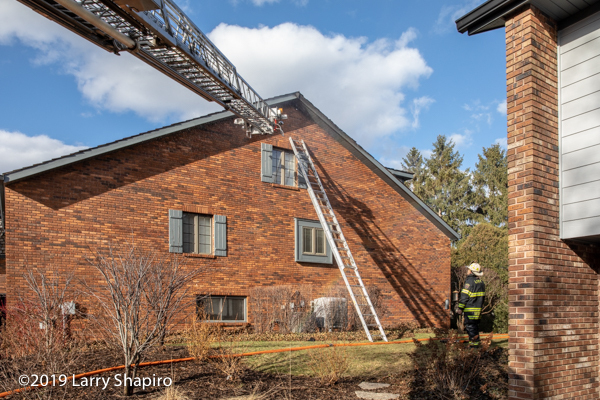 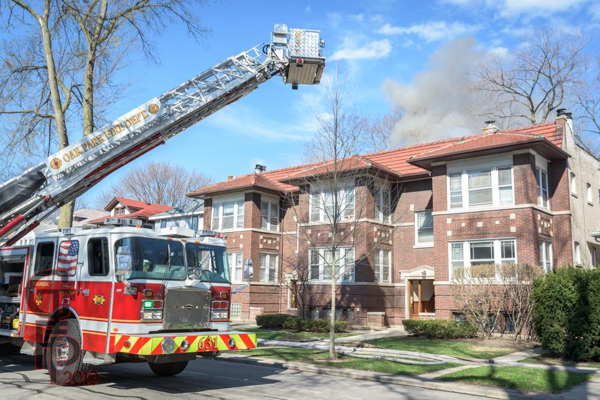 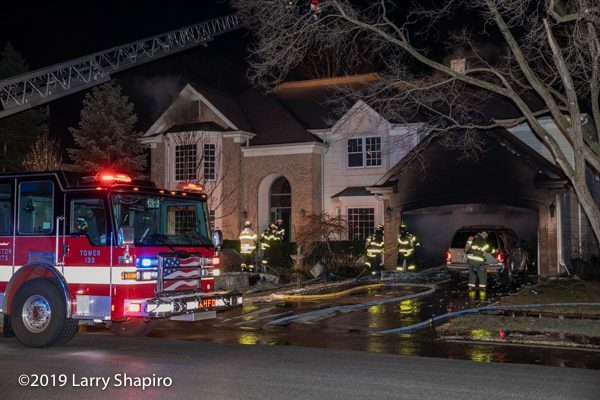 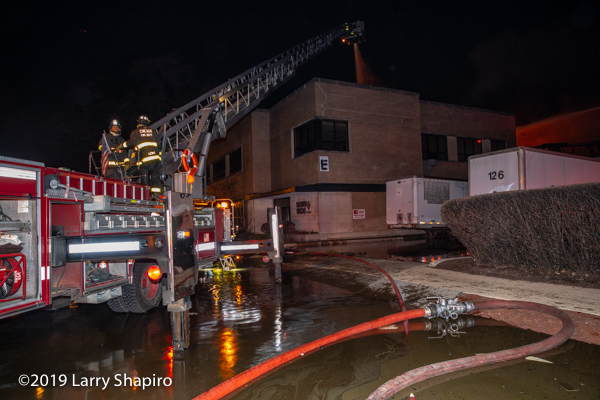 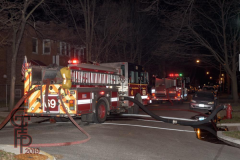 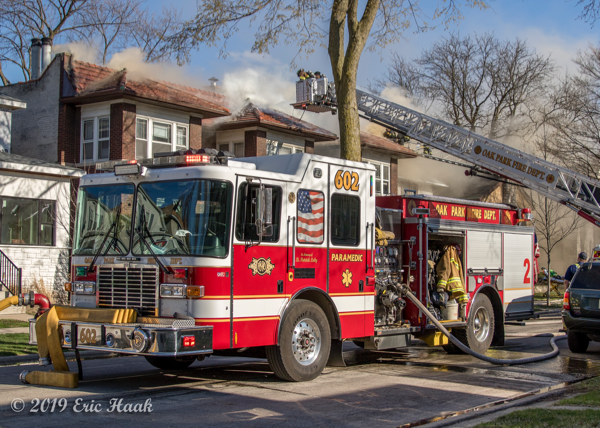 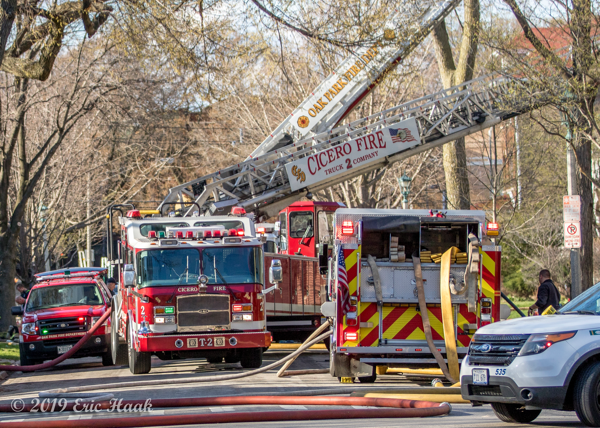 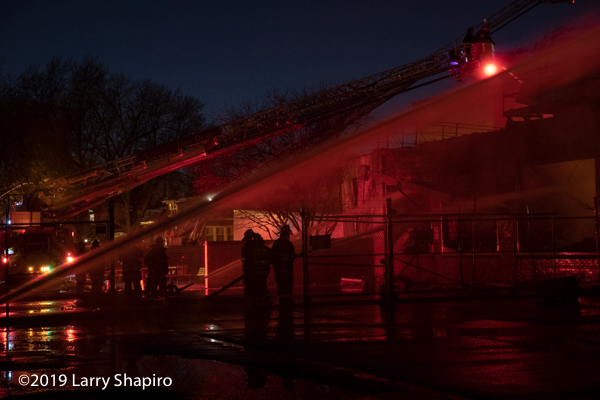 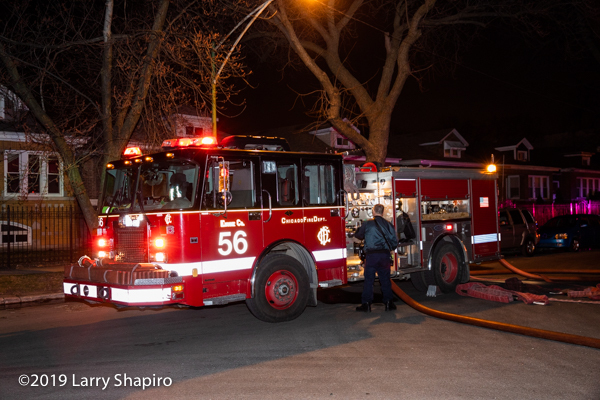 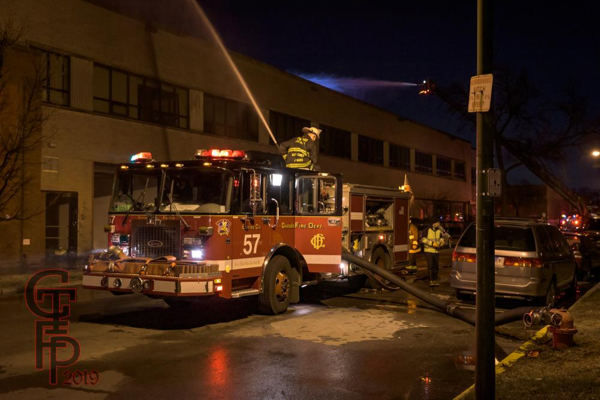 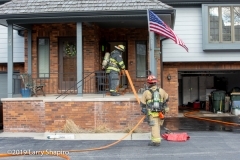 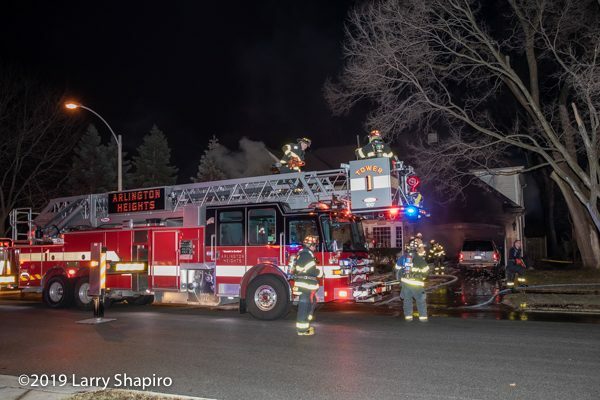 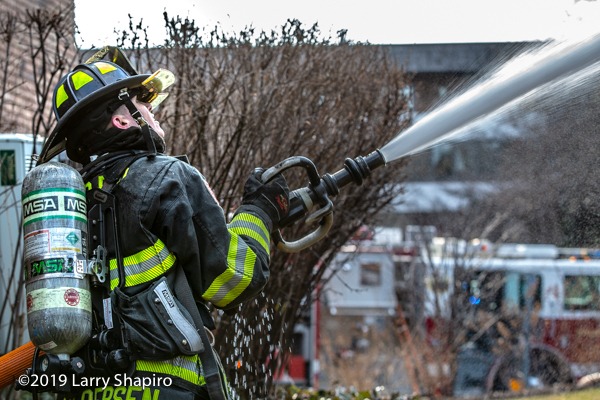 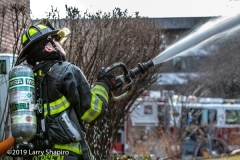 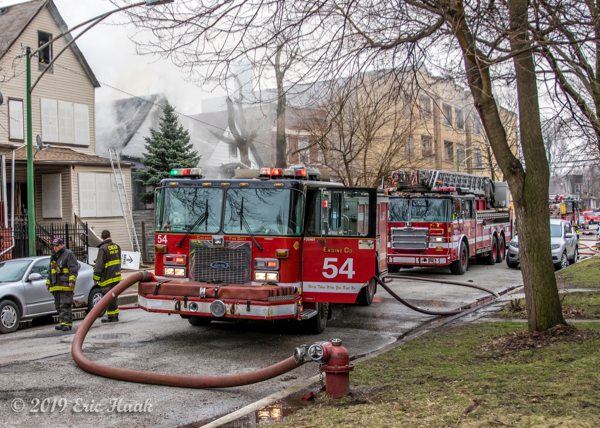 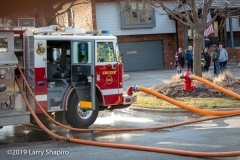 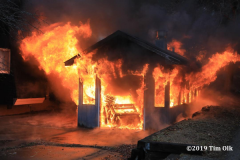 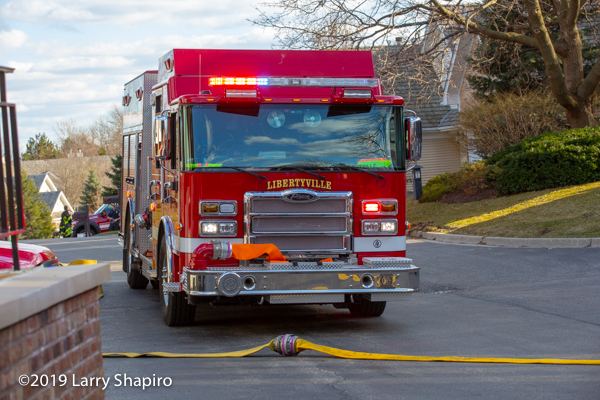 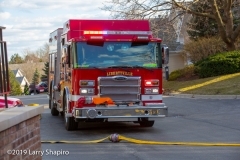 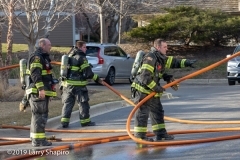 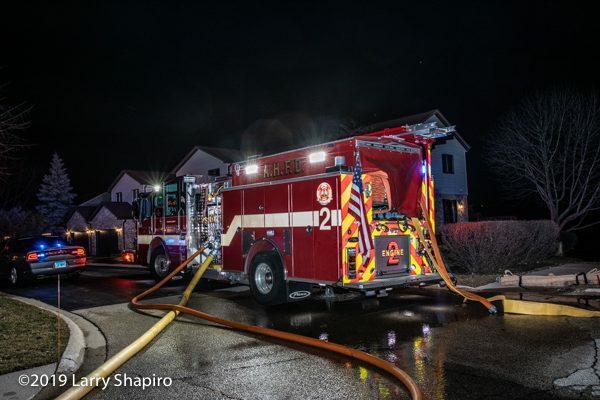 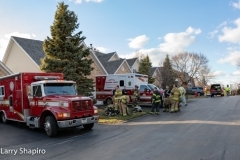 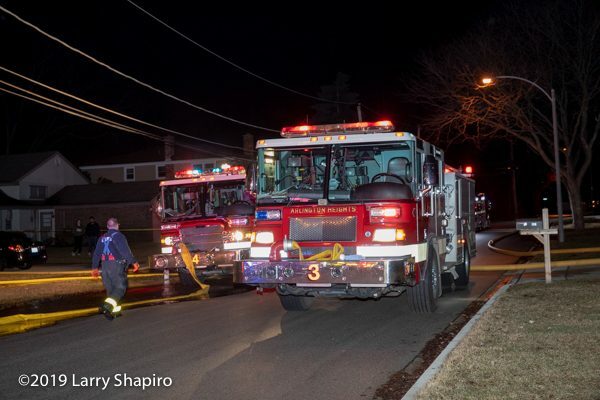 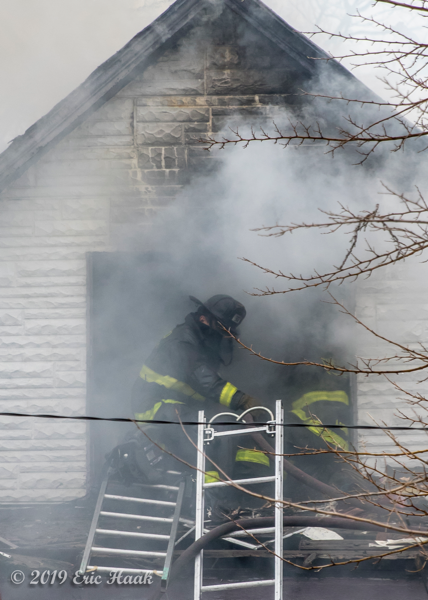 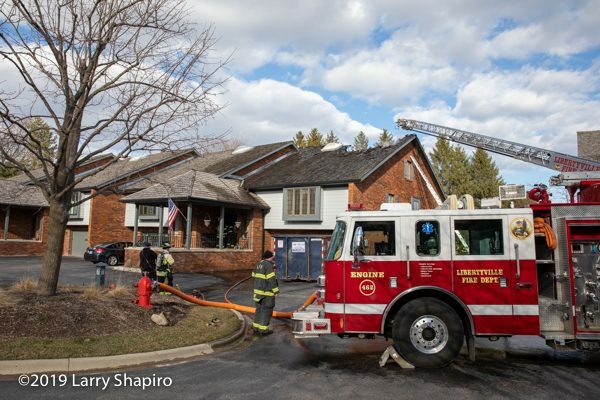 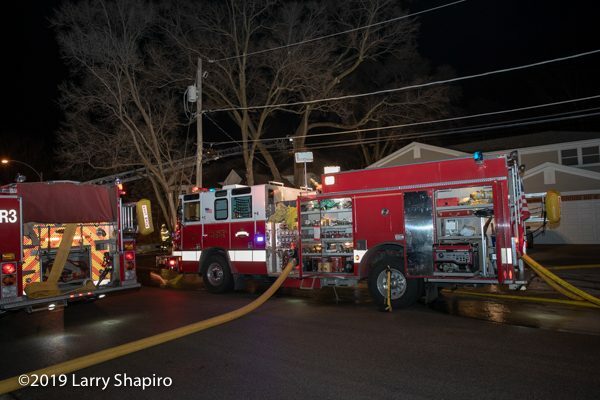 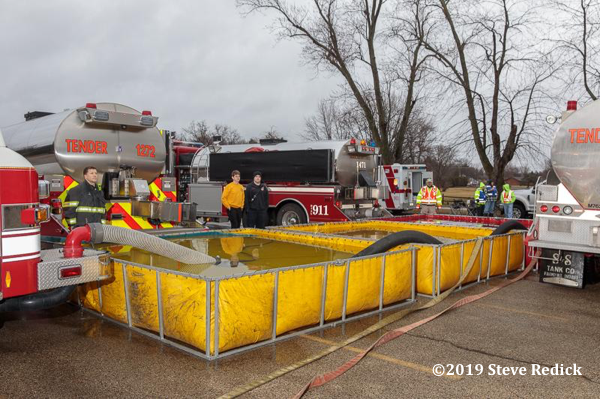 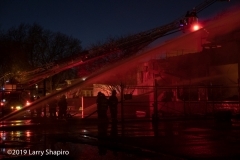 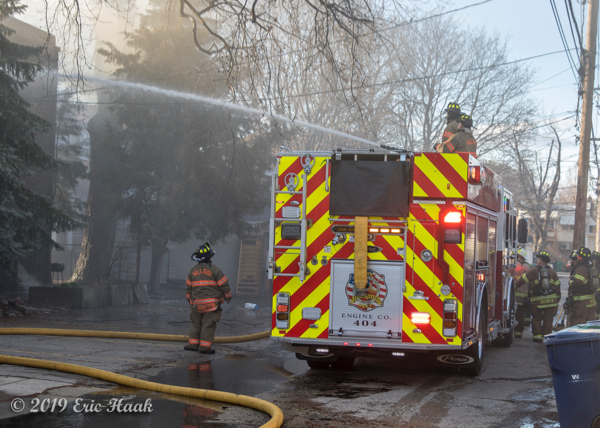 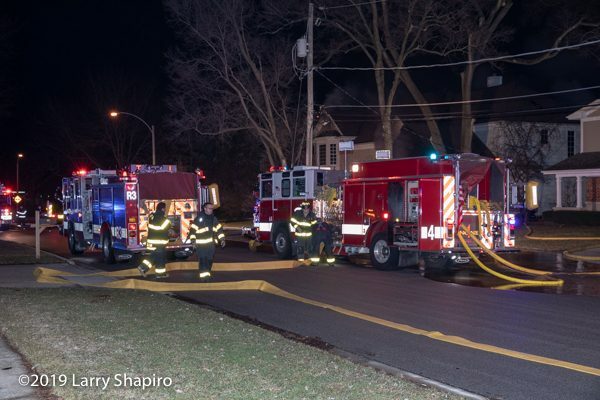 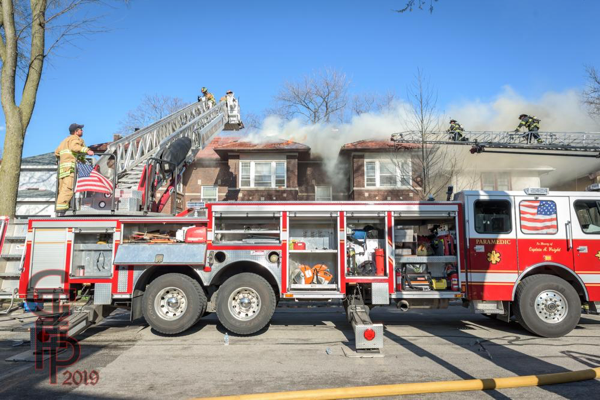 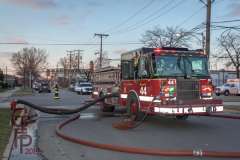 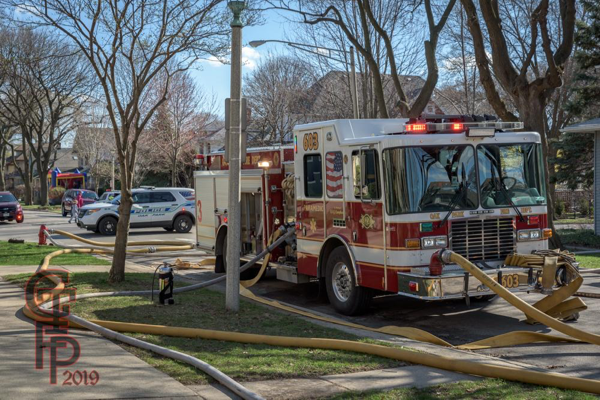 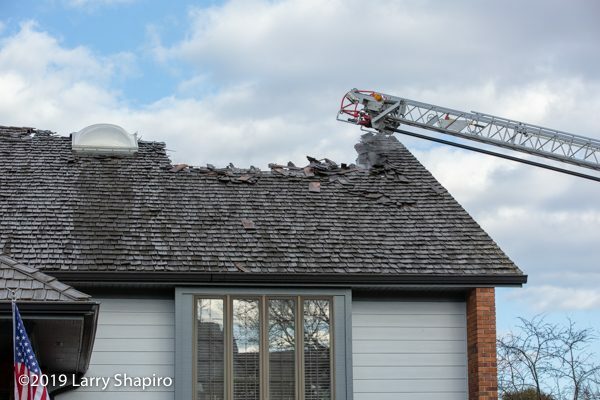 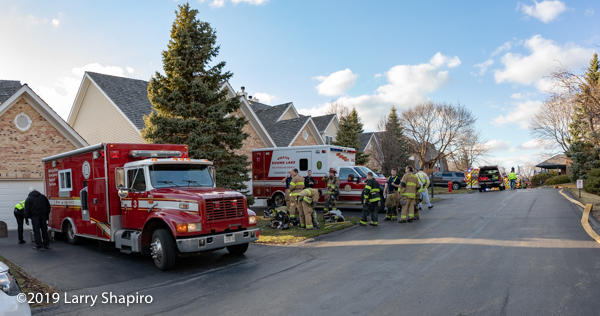 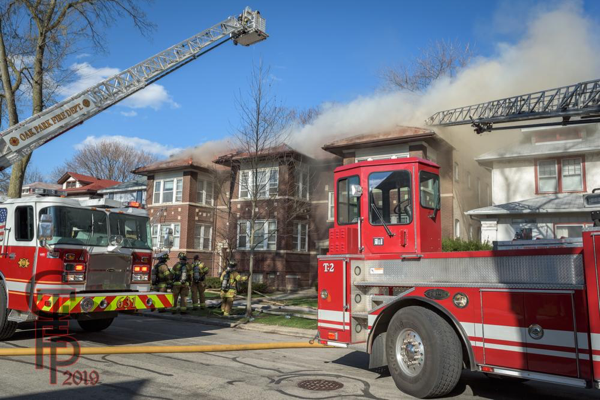 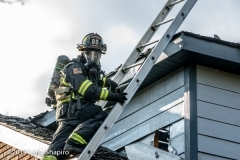 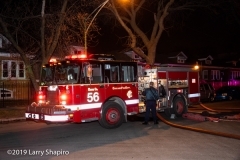 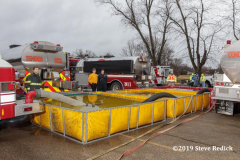 Arlington Heights police and firefighters were called to 209 LaSalle Street late Wednesday night (3/20/19) for a reported house fire. Police officers arrived and reported fire in the garage. 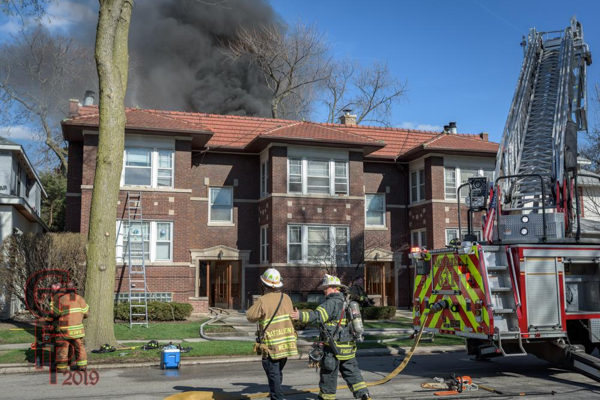 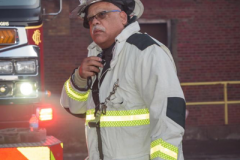 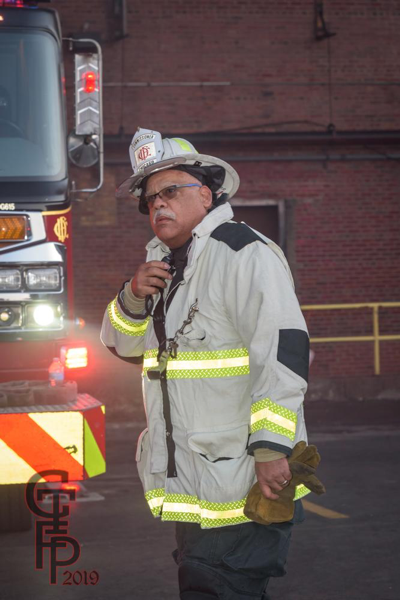 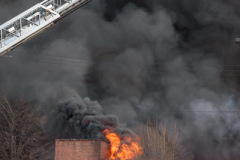 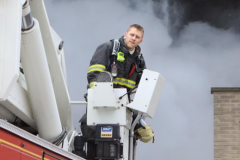 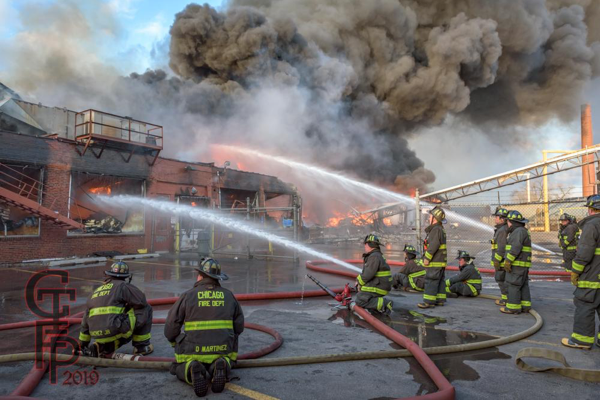 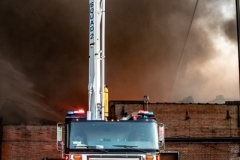 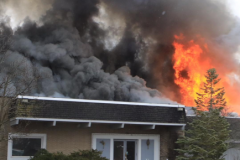 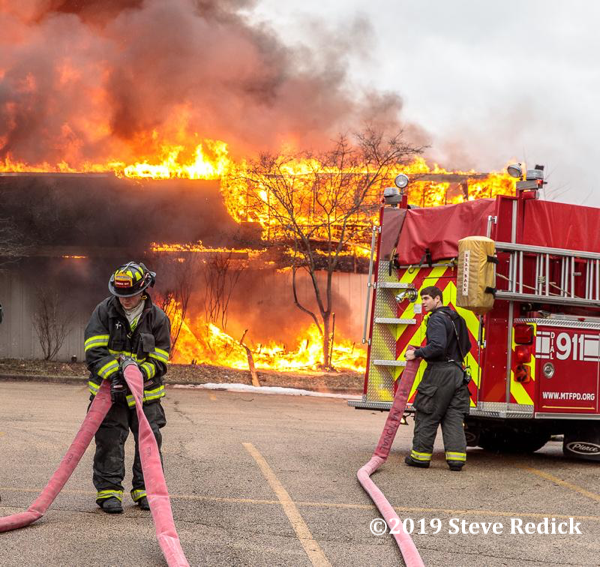 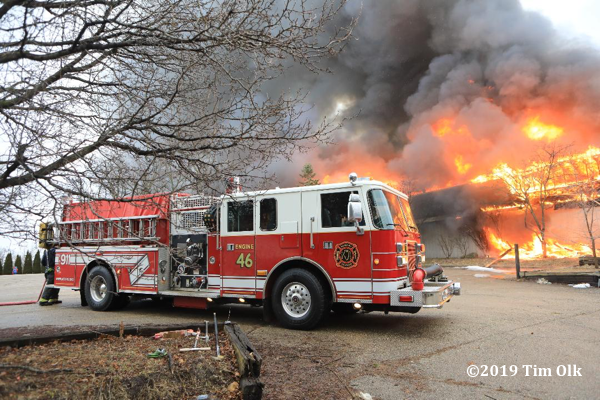 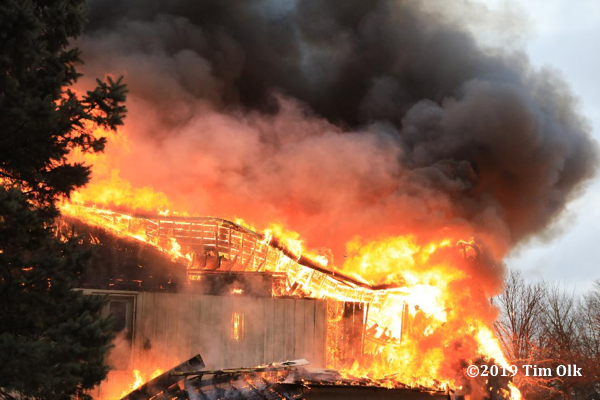 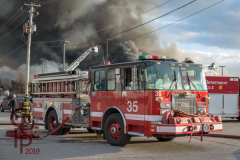 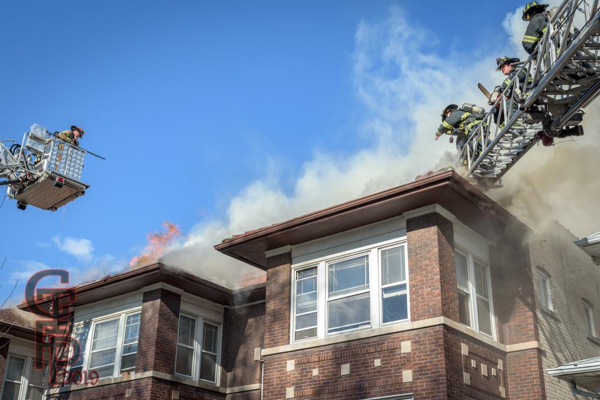 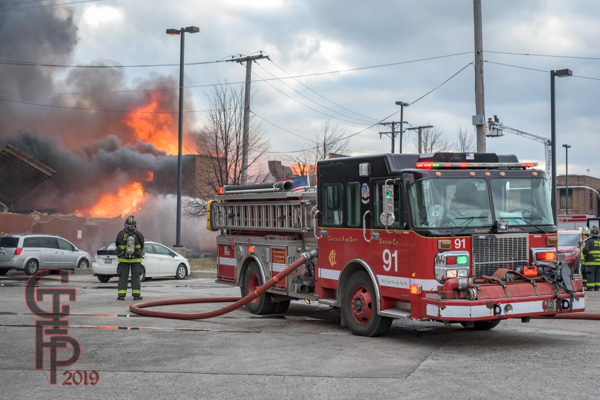 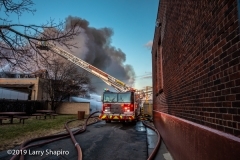 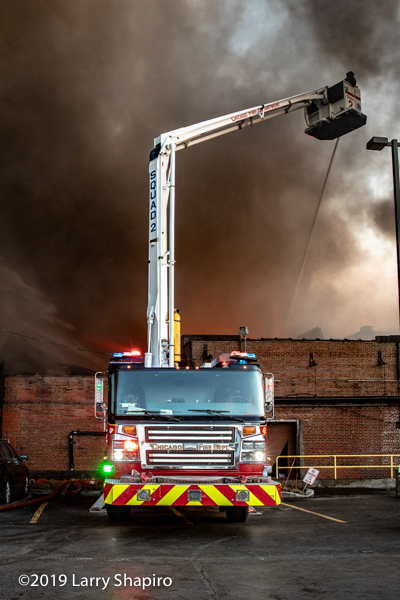 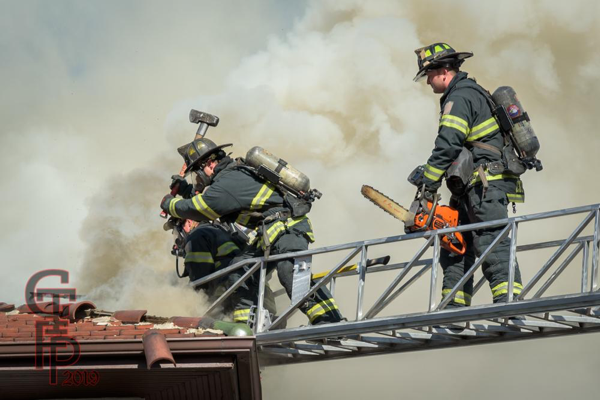 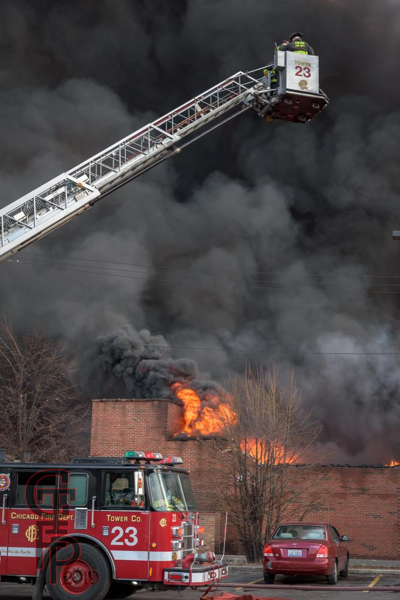 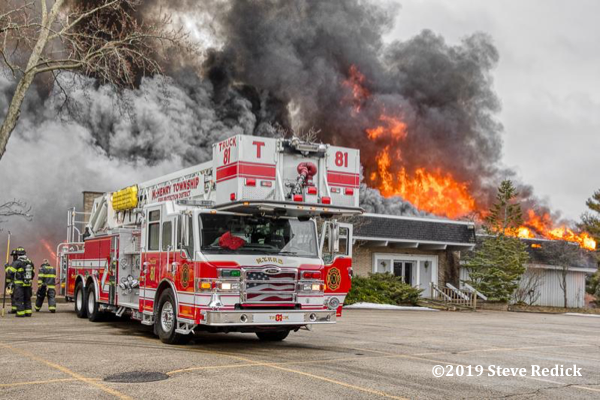 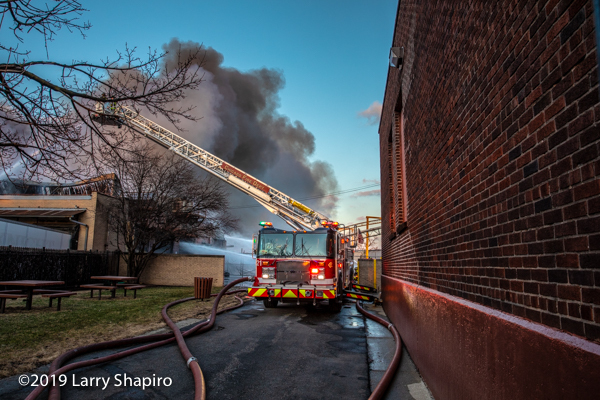 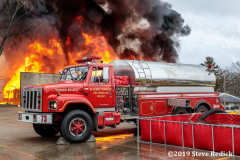 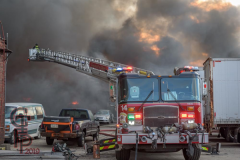 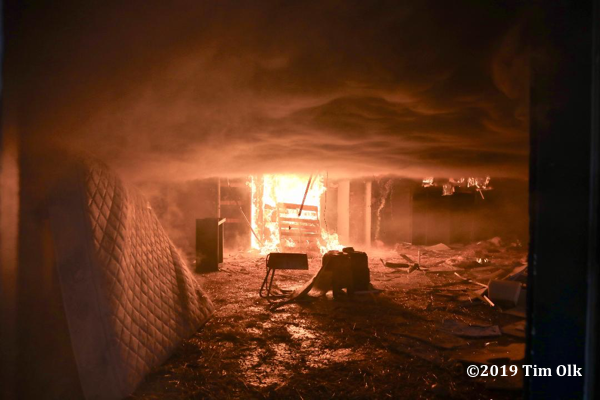 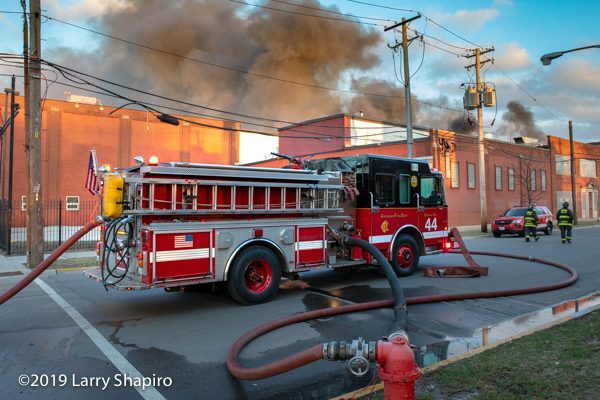 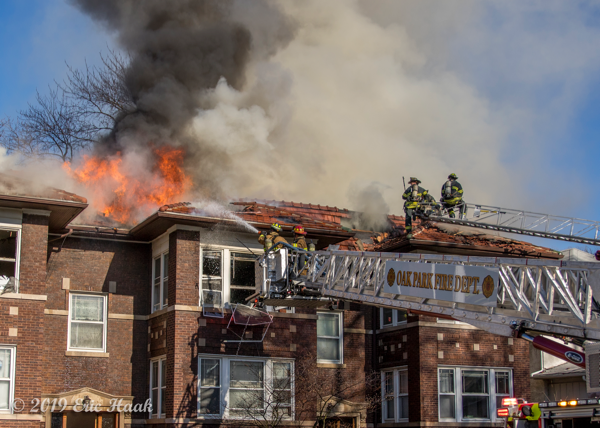 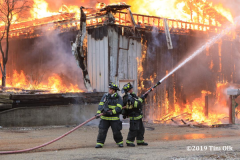 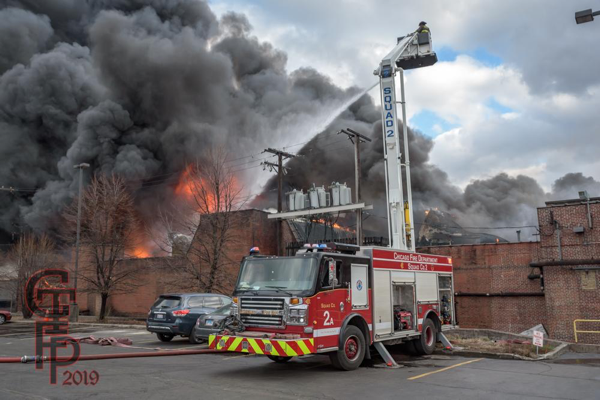 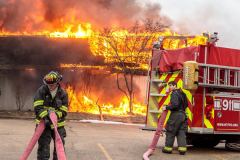 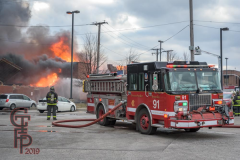 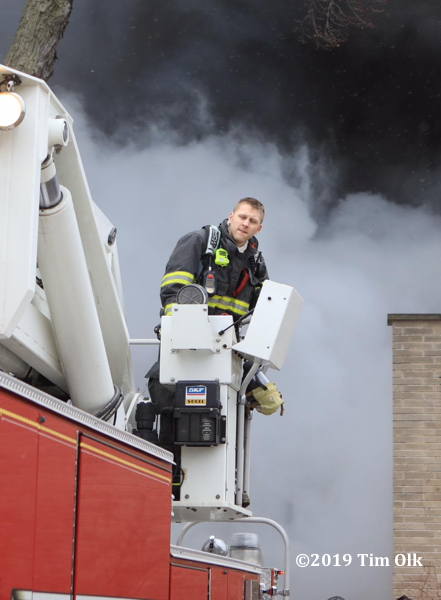 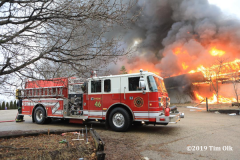 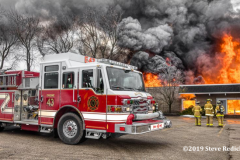 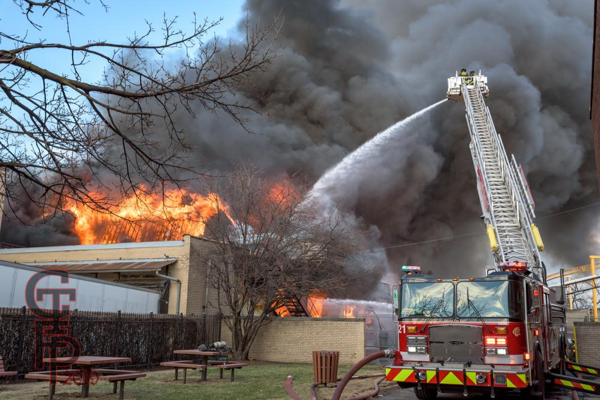 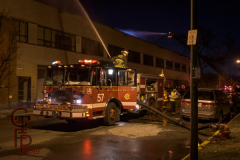 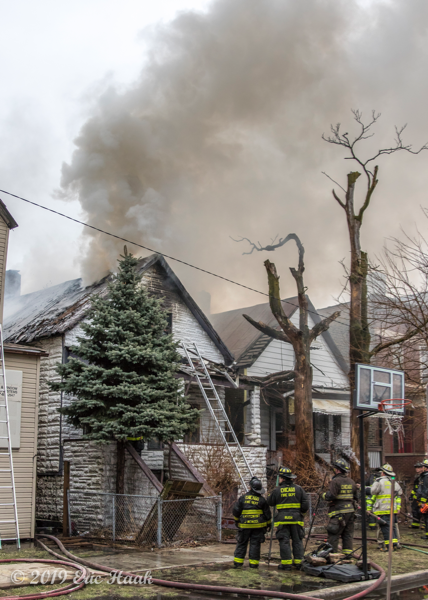 The first arriving engine confirmed the report and added that there was heavy fire in the rear involving the first and second floors. 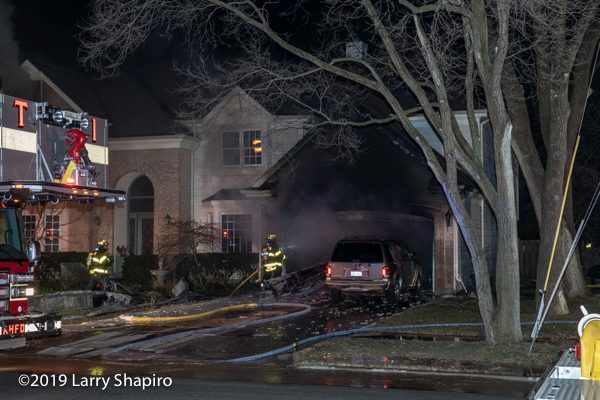 Lines were deployed to the garage and the rear. 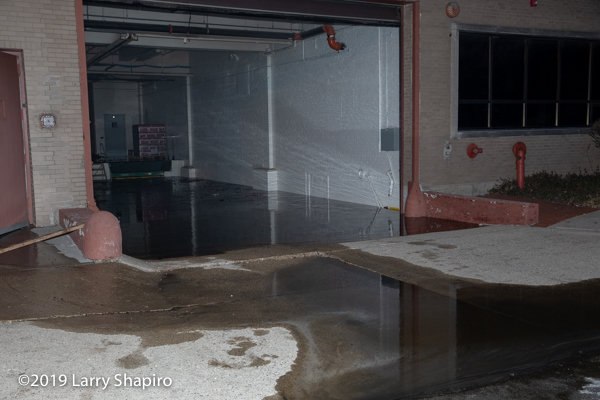 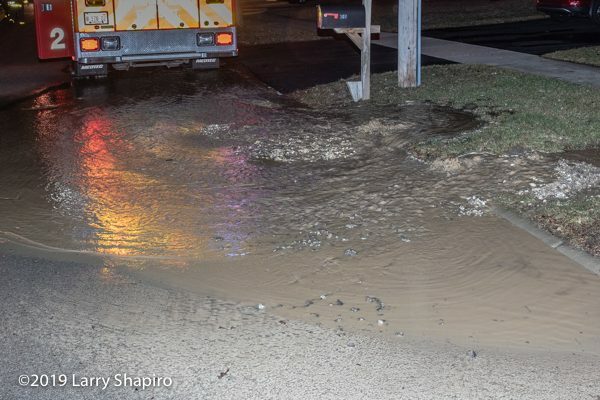 A water main ruptured in the parkway two houses to the west of the hydrant being used by Engine 4, so when Engine 3 arrived they laid a supply line from a hydrant on a different main to supplement Engine 4. 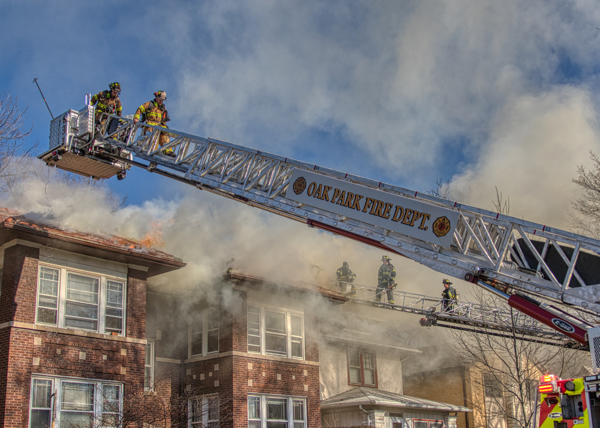 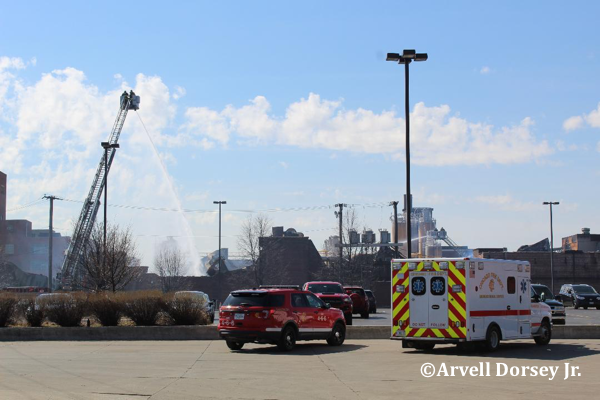 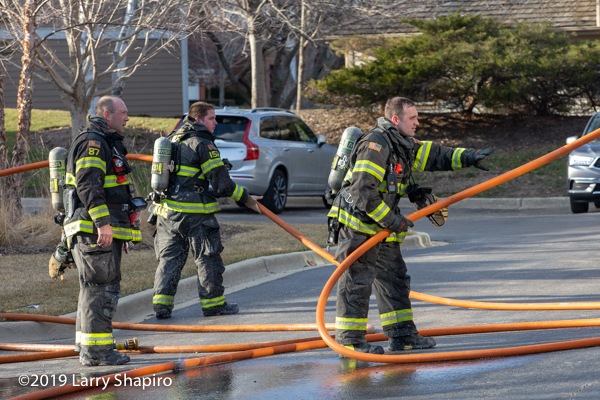 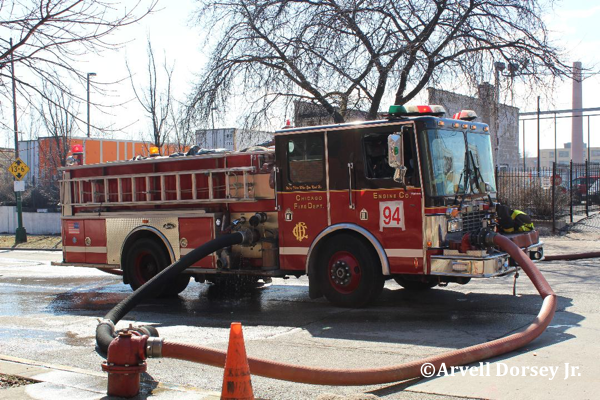 Arlington Heights Engine 2 was on a hydrant at the other end of the block and supplied Tower 1 and Palatine Quint 83. 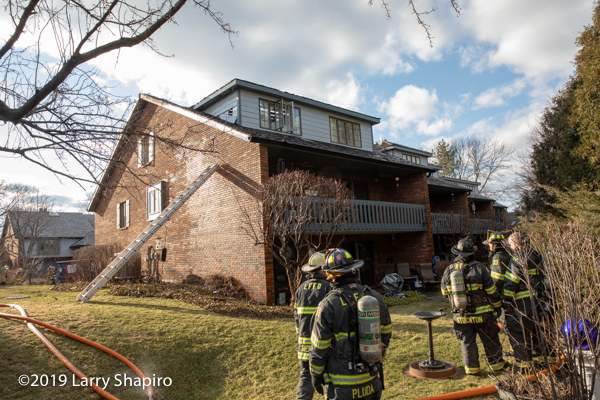 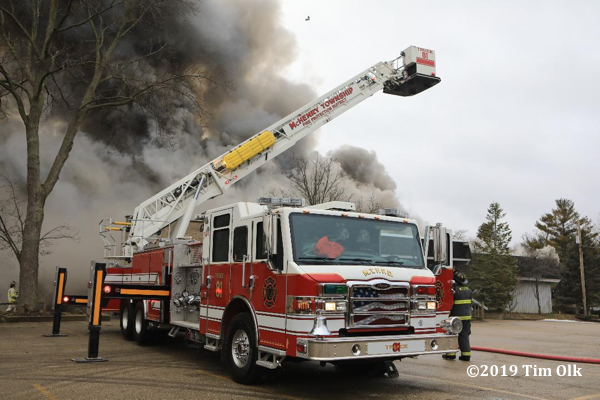 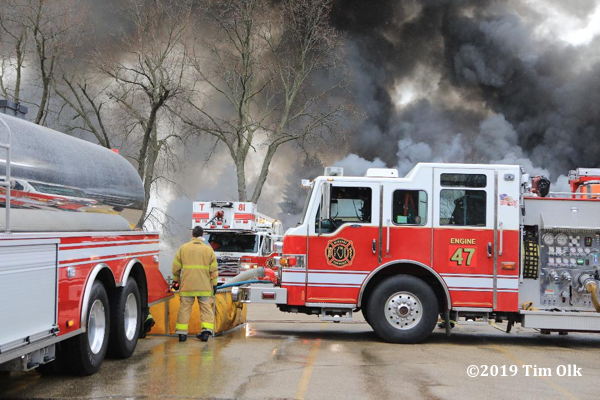 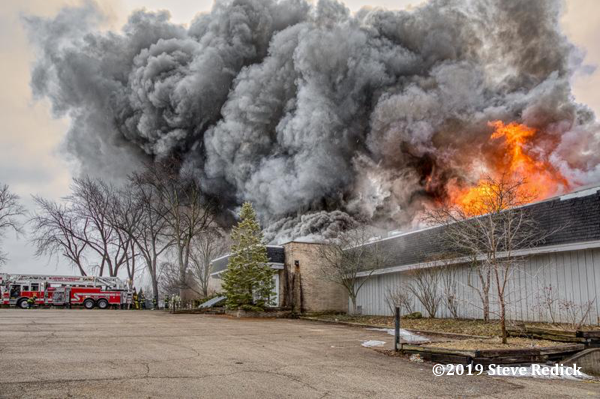 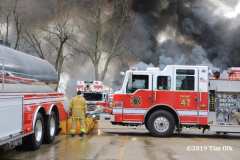 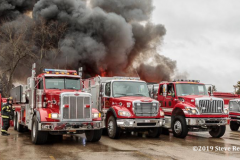 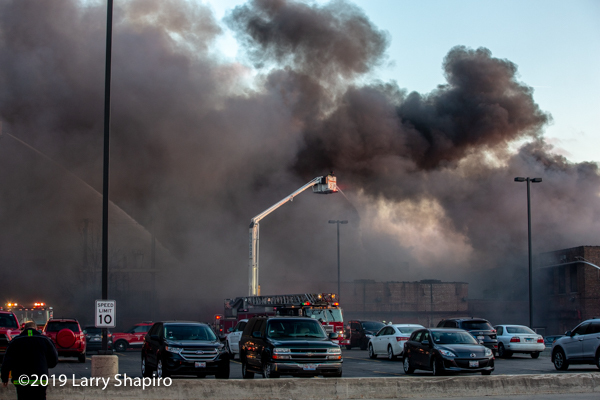 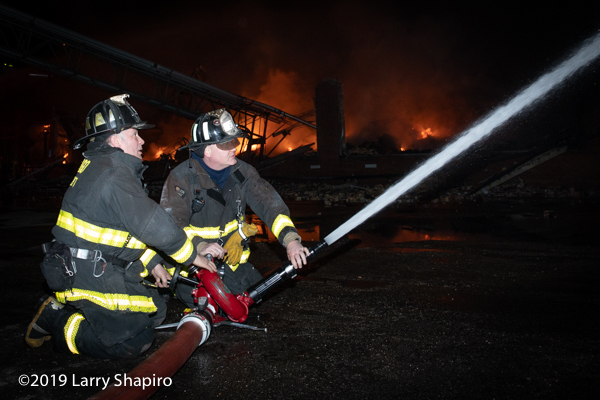 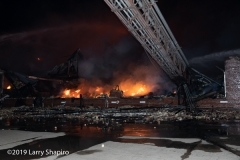 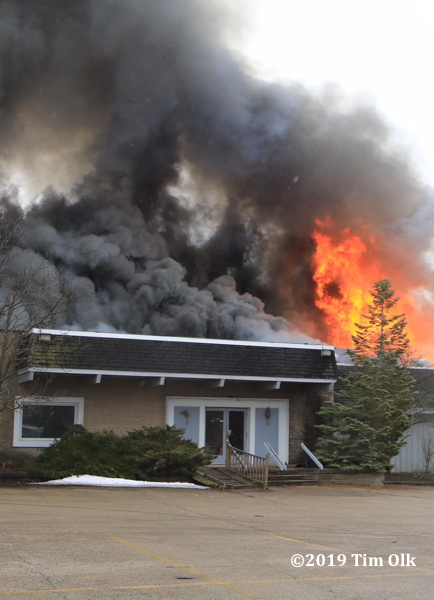 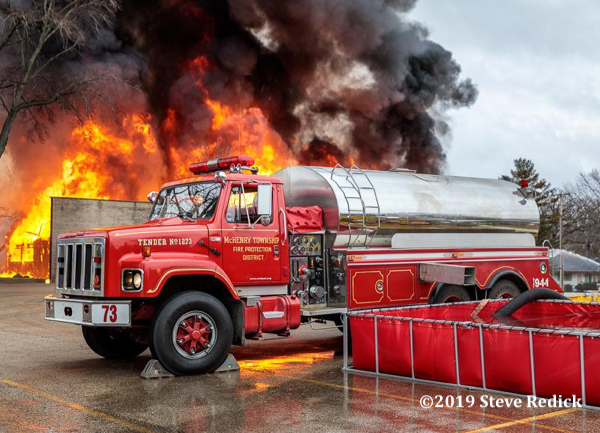 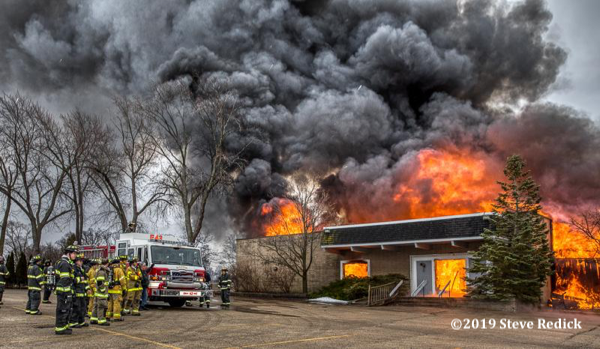 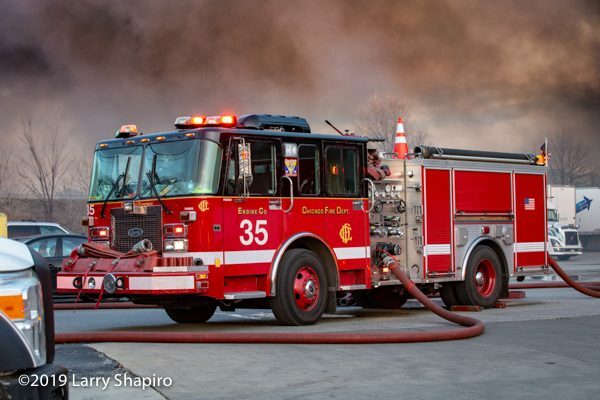 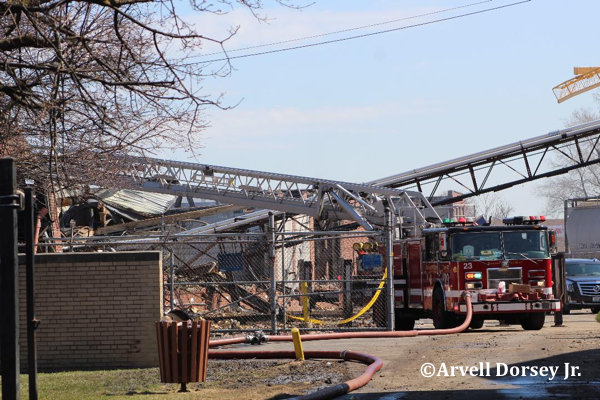 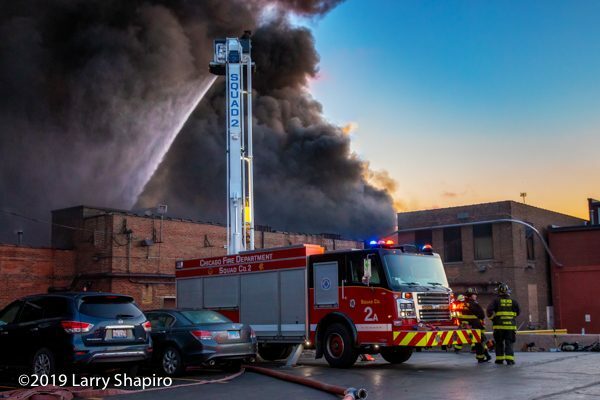 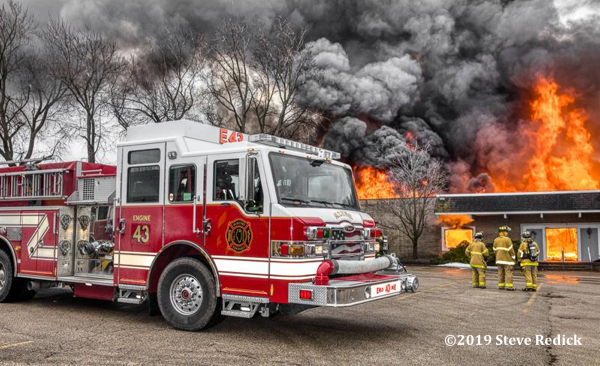 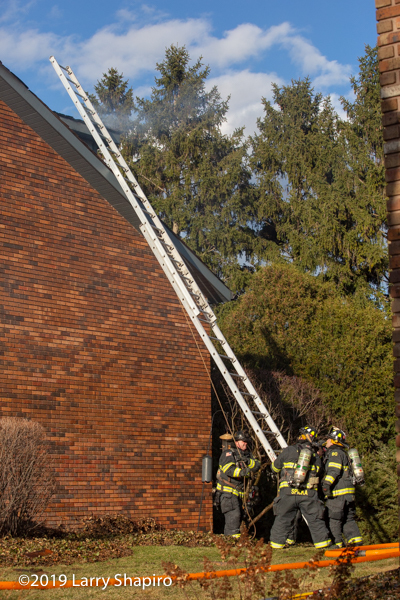 Buffalo Grove Tower 25 was at the scene and assigned as the RIT company. 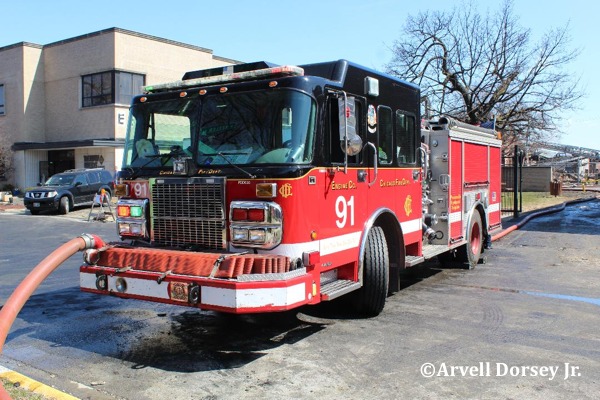 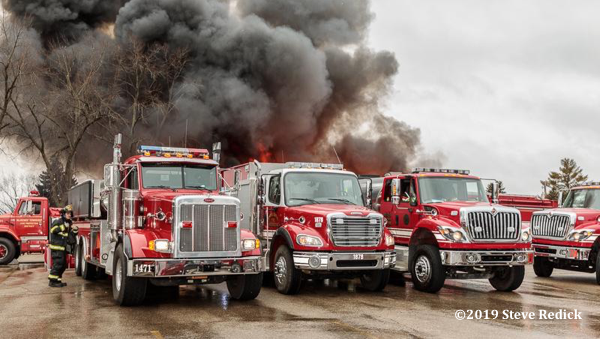 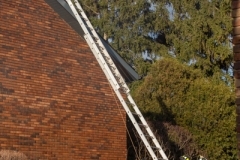 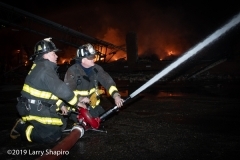 You are currently browsing the archives for the Apparatus on-scene category.